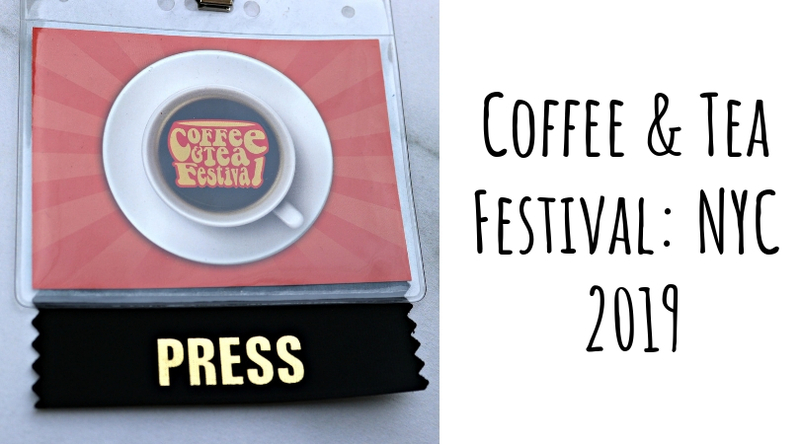 Since I missed World Tea Expo this year I am going through some major “con” withdrawals. The Summer Fancy Food Show was held at the Javits Center in NYC this past weekend so I figured that I should give it a go. It has been a few years since I last attended this show but there are usually quite a few tea companies present. Although there were several staple brands missing, I did discover quite a few new ones. This is always an interesting show because most of the vendors are a bit perplexed at the very concept of a tea blogger. This is particularly true in the international pavilions. In their defense, this is a B2B show (much like WTE) so they are expecting attendees to be interested in purchasing wholesale. The Javits Center is a fairly ginormous exhibit hall and the Fancy Food Show takes up almost the entire building. My feet definitely felt like I had walked a marathon by the time I had visited every booth on my list. It is also a bit hard to navigate for that reason as there are a large number of rooms that serve as separate conventions during much of the year. There’s something about the structure of this building that strikes me as ugly but beautiful at the same time. There is so much glass but it is all girded by metal beams everywhere. They do have a green roof, though, an addition that I definitely appreciate in an area of Manhattan that is so industrialized. Although this show is held for several days, I was only able to attend for part of the day on Sunday so I needed a game plan to make sure that I made the most of my time. I searched the vendor list for the keyword “tea” and then put them in order by booth number. Keeping the list on my phone helped me to go row by row efficiently, making sure that I didn’t miss anyone that I needed to see. This method worked out pretty well since most of the tea companies were dispersed pretty widely from each other. One thing I’ve noticed is that I am terrible at remembering to take pictures when I go to events like this. Both my phone and my camera hate the lighting in these kinds of venues as well. Sorry about that folks! One that I definitely noticed is that matcha is EVERYWHERE this year. As I made my way around the floor I spotted matcha and white chocolate covered almonds, matcha oatmeal, and all kinds of uses for my favorite green tea. Just about all of the tea companies were offering matcha of some kind, even those who I had never seen carry matcha before. 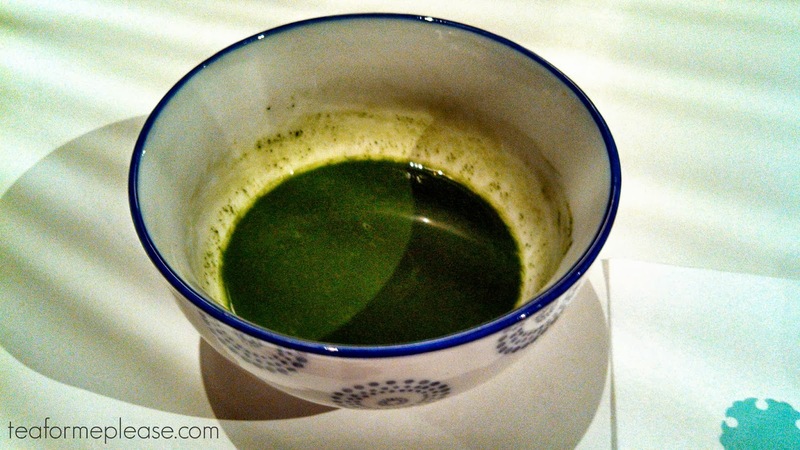 There was a noticeable trend of blending matcha with other ingredients to up the antioxidant/superfood count. White tea, cinnamon, turmeric; you name it and it was there. Unfortunately, I did find that there was too much attention placed on that aspect and not enough on quality or taste. It may be that the samples weren’t prepared well but everything that I tried left me underwhelmed. Compared to WTE, I saw a definite focus on packaging rather than on the tea itself. Not everyone had the actual product out for display. Major brands like Stash and Republic of Tea constructed colorful walls of tins and boxes as part of their booth displays. The folks attending this show often run gift shops so aesthetics will often take precedence in that case so this makes a lot of sense. Most people walking in the door are not going to be a leaf nerd like myself. In years past, I saw a lot of tea in inappropriate packaging (i.e. kraft paper bags with cellophane windows) but almost every booth I visited had their tea in tins or boxes. I was really surprised at the number of tea booths with apathetic, disinterested staff. Part of the problem is that many companies will use outside companies to hire help for sampling. These are people who know nothing about your brand or your product. They should not be the ones to represent you or to give that crucial first impression. One booth from a major tea distributor didn’t have staff in it at all every time I walked by. If you’re going to pay the expenses of registering for the show and traveling to NYC, why wouldn’t you try to capitalize on every possible opportunity? 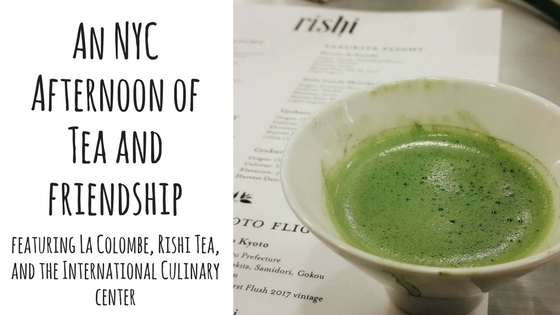 The tea industry is at a point where we really need restaurants to offer more than just Lipton tea bags and this show is a perfect opportunity to reach the decision makers for food and beverage programs around the country. Hugo Tea was one of my favorites of the show. Such nice folks! Super cool display from AOI showing the colors of different grades. Did you attend the Fancy Food Show this year? I’d love to hear your thoughts in the comments below!